Somerfest 2019 date for the diary is June 15th, Enjoy and experience one of Somerset’s largest free outdoor arts festivals with a programme of outdoor arts, street theatre, music, dance, circus, sports, arts installations, green crafts, wildlife zone, children and family activities, fabulous food and drink. There is something for everyone to enjoy and take part in. June is set to be a fabulous month of festivals and events. Taunton hosts the ICC Cricket World Cup when the carnival of cricket comes to Taunton. Its a busy month and lots to see and do. Somerfest and the Fuse festival team are keen to hear from sponsors and supporters. If you are interested in advertising in the festival guide or sponsoring an act contact us for a sponsorship pack or advertising pack. If you would like to get involved working behind the scenes as a festival maker, volunteer or activity organiser please get in touch. Emergent Artists Commission contact use for more details. A couple of thank you’s and background info. Fuse would like to thank Arts Council England for supporting our creative programming, street scenography and participatory arts projects in 2017/2018. 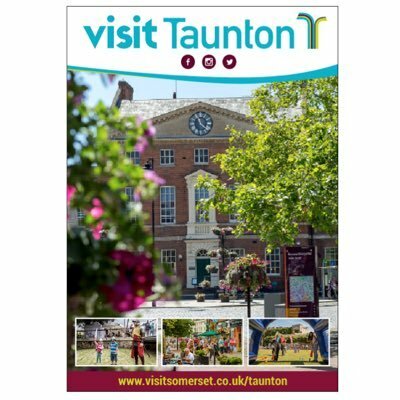 Thank you to Taunton Deane Borough Council, festival commissioners and to all the local businesses whom have supported us to develop the festival in the last 4 years: The Orchard Centre, Amicus Law, Museum of Somerset, Brewhouse Theatre, Somerset County Cricket Club, Viridor, CICCIC, Mambo, Debenhams, Boots, Body Shop, Waterstones, Webbers, Jo Jo Maman Be Be, Albert Goodman , Gin & Sin, Bills, Morrisons, The Space, Apple FM. Fuse have also supported Somerset Wildlife Trust, Secret World, RSPB, Sustrans, Cancer Research UK , Compass Disability , Stammer Awareness , KD-UK as part of Somerfest the annual mid summer festival in Taunton’s unique open spaces. Somerfest is organised by Fuse Somerset Outdoor Arts who are supported and funded by Arts Council England. We are commissioned on behalf of Taunton Deane Borough Council to produce Somerfest which is their legacy event from the Olympics in 2012 when the Torch Relay took place in Taunton as part of the London Olympics Games LOCOG2012. Fuse have programmed Somerset Square at Somerfest since 2012 and organised the festival since 2014. Fuse bring inspiring live performances to festivals and events indoors and out and provide opportunities so that everyone can participate in the arts.